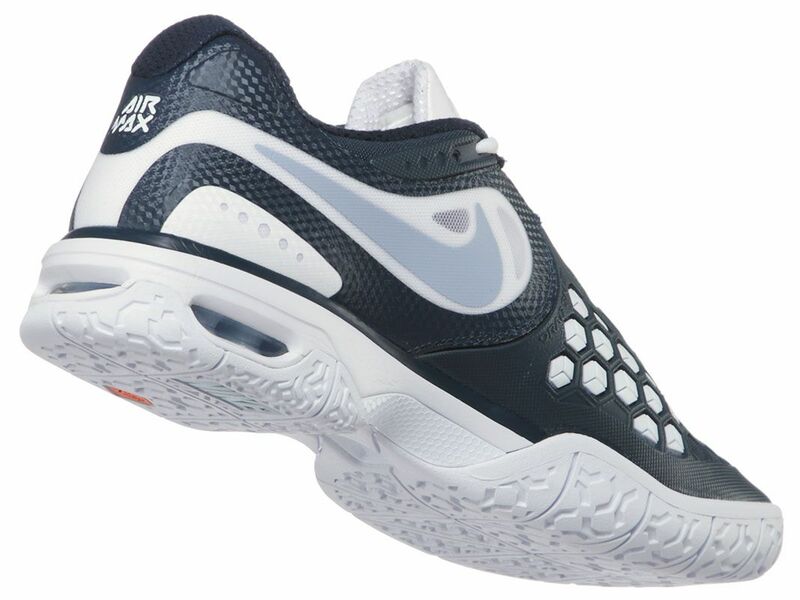 A durability-based performance shoe put together using top of the line technologies from Nike. This shoe is Nike's take on durability and comfort in the same package. It's one of my personal favorites in terms of design and performance. The XDR Outsole is a very resilient rubber that will withstand the extreme friction that top players put their shoes under during competitive play. This helps the shoe burn out slower than other models and maintain traction for a longer wear life. The toe guard is raised on this shoe so it would benefit the toe draggers out there. The outsole also comes with a 6 month durability guarantee. In the midsole, an Air Max heel unit is paired with forefoot Lunarlon foam. While the Air Max heel provides a more plush cushion for hard impacts and everyday wear, the Lunarlon foam in the forefoot provides a responsive feel for the court. This shoe also comes with a thin foam Ortholite insole that is removable. 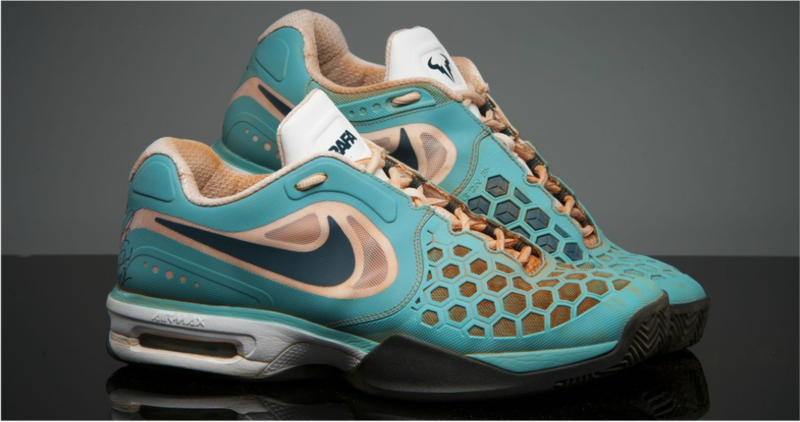 The upper is made of synthetic fuse material, mesh, and Nike's Drag On rubber material. In the forefoot, the pairing of the Drag On rubber and mesh underlay offers the user both ventilation and durability for making hard cuts and slides. The tongue is somewhat short and thin, which could be good for those looking for a minimal tongue. I really liked this shoe. One (slightly biased) reason is that it was worn by Rafael Nadal for quite some time. The design was nicely proportioned and I liked the contrasting textures found throughout the shoe. I found the Drag On Rubber Upper Cage really useful; as I like to slide on defensive sprints or when I'm getting to a drop shot. The shoe had the benefits of a durable shoe, and still felt pretty lightweight on my feet. The one problem I had was the lacing system; although it was pretty snug and comfortable, I actually tore/ripped through one of the eyelets. I've heard of others having this issue as well. Overall, I would definitely recommend this shoe. The six month durability means that if you wear through the midsole and ship the shoes back to Nike, you get the retail value back in Nike.com credits. This makes the shoe a pretty good deal especially if you can find it on sale. This shoe is around the top of the list of my favorite shoes.